Curic is in his ninth season as an assistant coach with the Lindenwood mens soccer program. 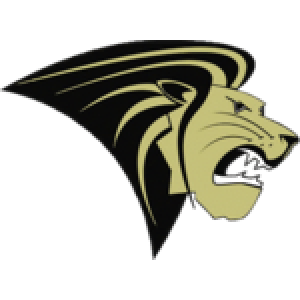 In his first eight seasons at Lindenwood, the Lions have an overall record of 95-47-16. Last year, Curic helped the Lions to a winning season that included four victories over nationally-ranked teams. Lindenwood went 8-7-2 on the year and finished tied for third in the MIAA. Curic led Lindenwood to another double-figure win season in 2014. The Lions went 10-7-3 overall, including finishing third in the MIAA with a 7-4-1 mark. Lindenwood advanced to the MIAA Tournament Finals for the third straight season. In 2013, Curic was part of a Lindenwood program that went 18-1-3, was ranked No. 1 in NCAA Division II at the end of the regular season, and advanced to the NCAA Division II Tournament Quarterfinals. The Lions won the MIAA Regular Season Championship, MIAA Tournament Championship, and NCAA Central Regional Championship. In 2012, Curic helped Lindenwood go 15-2-3 overall in its first full season of NCAA Division II play. The Lions went 8-0-2 in MIAA play and captured both the regular season and tournament conference championships. The previous season, while the program was transitioning to the next level, Lindenwood had a winning season with a 10-8-0 mark. In Lindenwoods final three seasons in the NAIA, Curic helped the program go 34-22-5. In 2009, the Lions won the HAAC Tournament Championship and advanced to the NAIA National Tournament. Curic played at Lindenwood during his collegiate career and was inducted into the Lindenwood Athletics Hall of Fame in 2015 for his playing days. He was a two-time honorable mention All-American and a three-time all-HAAC selection. 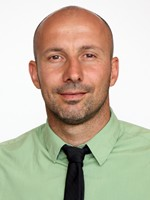 He was a member of the first Lions men's soccer team to advance to the NAIA National Tournament in 2000 and also helped the team earn national bids in 2001 and 2003. During those four seasons, Lindenwood won two conference championships and two regional championships, went 78-13-5, and built the foundation that led to the 2004 National Championship. Curic used his final year of eligibility in 2010 and helped Lindenwood go 13-6-1 in its final season in the NAIA. During his junior playing days he played for FC Partizan. Curic holds his FIFA coaching license and has coached youth teams in both the United State and abroad. Curic is a native of Serbia.